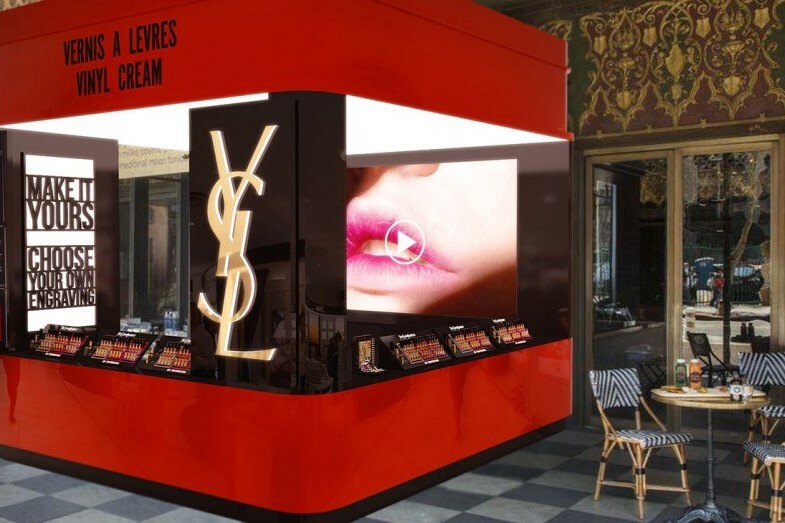 Over the past few years, pop-up shop retail has become an increasingly popular trend among brands. These short-term spaces range from seasonal markets to consumer expos to event-specific stands. Temporary pop-ups can have a big impact—building interest in a product or service, increasing customer engagement, and generating impressive sales. But how exactly does one build the perfect pop-up experience? Let the brand shine through. Companies put a lot of time, thought, and energy into their branding—and with good reason! Having an instantly recognizable and attractive logo is key to strengthening brand awareness and enhancing brand loyalty. Use this to your advantage when creating your pop-up shop. 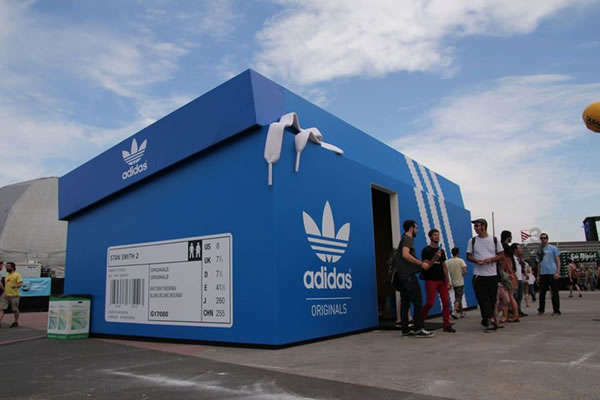 Take the Adidas pop-up below as an example. There’s really no question as to what this installation is, and people can easily tell from far away who is hosting the pop-up shop. Job well done, Adidas! Set up the perfect photo opp. Millennials are all about “doin’ it for the gram.” Fulfill this desire by incorporating a totally photo-worthy spot in your pop-up. 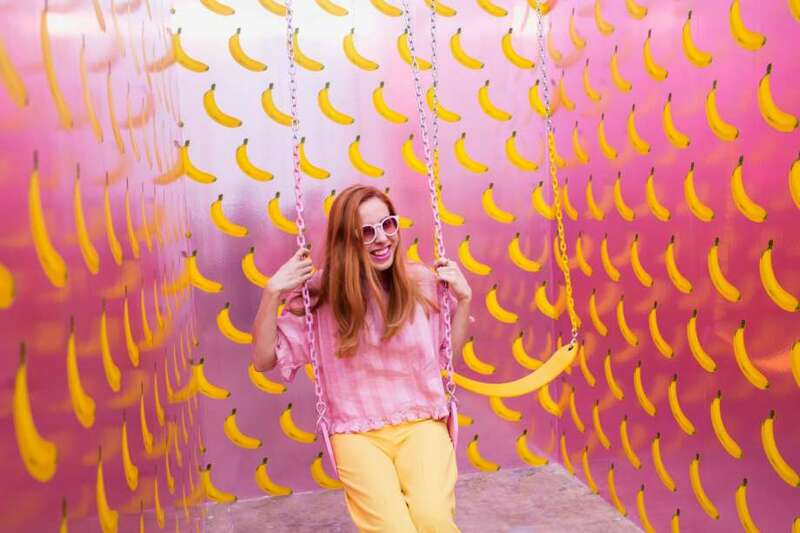 Recent crowd-pleaser The Museum of Ice Cream has room after room of photo ops, from a giant tub of sprinkles to a banana room complete with reflective wallpaper and swings. Take note! While certain areas will attract traffic no matter the date/time (think L.A. or Times Square), a surefire way to spread the love with your pop-up is to turn it into a tour. Whether you decide to roll through different cities, set up shop on college campuses, or travel mall-to-mall, hitting the road will bring excited customers from around the country. 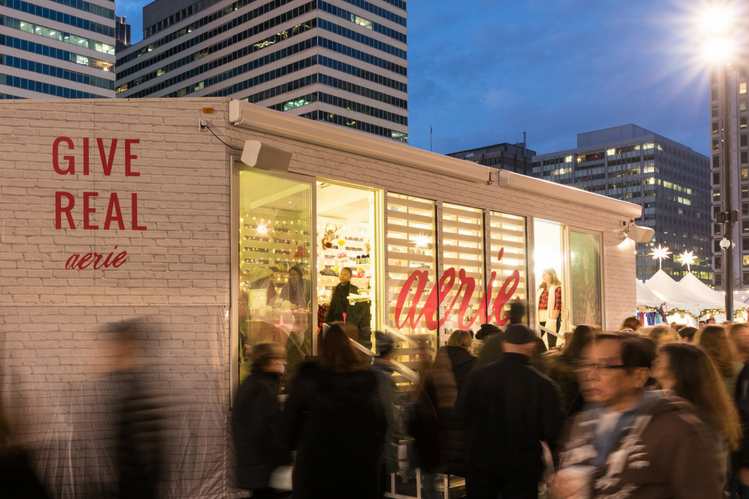 A great example of such a pop-up is the Aerie Mobile Tour, which hits both cities and universities throughout the fall, winter, and spring. Include customization + exclusive deals. One question customers ask themselves when considering attending a pop-up is, “Why should I go out of my way to come to this when I could just drive to my local store?” The answer: exclusivity. Feature limited edition items, offer product customization, or include exclusive deals/discounts to make the experience one-of-a-kind. YSL’s 2017 Lip Showroom boasted free engraving with any purchase. Who wouldn’t want to walk away with a custom lipstick that has their name on it?! Give people something fun to do. Browsing for clothes, looking at art installations, and listening to speakers or panelists are all great in their own way—but they can also get monotonous. Including games and DIY activities as part of the pop-up experience provides customers with a way to relax and unwind. 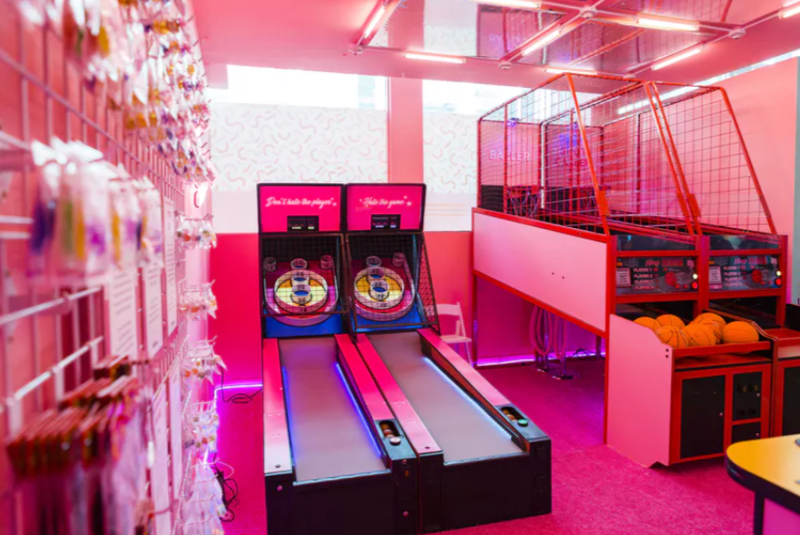 At Brit + Co.’s 2017 #CreateGood Pop-Up, an arcade (sponsored by Lyft) featured skeeball, pop-a-shot, Pac-Man, and prizes. Everyone walked away feeling like a winner! Want more? Check out these blogs. Want to open a pop-up shop on campus but aren’t sure how to get started? Finding the right partner is key to your success. Here at YMC, we’ve been helping brands connect with 15- to 29-year-old consumers for two decades—we’d be happy to share our wealth of knowledge with you. Contact us today!